It was fantastic evening on the high seas, sailing justing offshore of France. It was at that moment, during dinner, aboard a cruise ship, we had terrific Burgundian experience not desiring anything else than the pleasure of our own company, a fantastic meal, candlelight and fantastic Sommelier who kept our glasses full. Mrs. Cuvée and I must have put away at least two bottles of this beauty on the very first night of a cruise we recently took. A great way to kick off things off huh? This was one of our most memorable nights because earlier we enjoyed the 2010 Louis Jadot Meursault from the Cote de Beaune region. How this aspect of the meal remained so memorable is beyond me, seeing we had more than a few glasses of the Meursault as well. This 2009 may possibly be a bit hard to find, but it would be worth the effort. I found this wine selling most places [and they were not too many] in the $38 to $50 price range, and while it may not have quite the QPR of other lesser wines, it's definitely worth the price of admission. I scored this wine 91 points and drinking quite nicely. The Delectable app, one I started using recently could only locate the 2012 vintage, offering them for $75 each in New York City. But if this review somehow convinces you to part with some hard earned coin, then by all means you grab a few via wine-searcher. I found the aromas quickly escaping from the glass immediately appealing, like beautiful perfume, bright freshness to the cherry, raspberry, is easily picked out, along with some funk. In the first slurp, extraordinary richness drove down the flavor highway but plumbed with enough acid to keep the flavors fresh. The longer the bottle was open, the more it evolved and changed, hitting many different notes along the way. In the background playing bass, freshly picked truffle and wet earth mingle with the masses. This wine puts on a fun display; integrated [silk] tannins, pleasing depth, and length of the mineral finish. 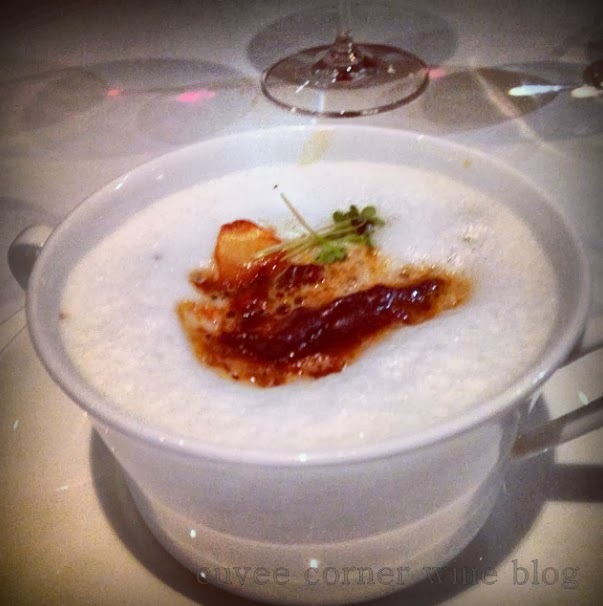 The fantastic pairing; Morel and Creamy Peas Risotto, with a light truffle foam on top. 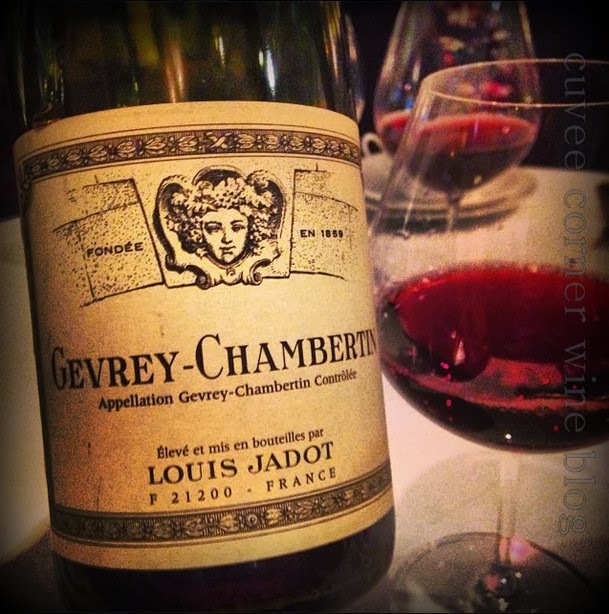 Gevrey is, of course, the village where the Grand Cru vineyard Chambertin is located, in the north of the Côte de Nuits. As legend has it that vines have been cultivated in this area since 630 AD, if you're keeping score, that's a very long time ago. Just ponder that statement a moment, think about the evolution of the vine that has take place there, since that time. The legend continues that when a certain Bertin decided to emulate the monks, his neighbors. The wine he made turned out to be spectacular - and the rest is history! If you'd like to know more about this fantastic region, and I recommend you do, let the exploration begin right here. Until next time folks remember life is short, refuse to settle for less, as always I recommend to sip long and prosper cheers!